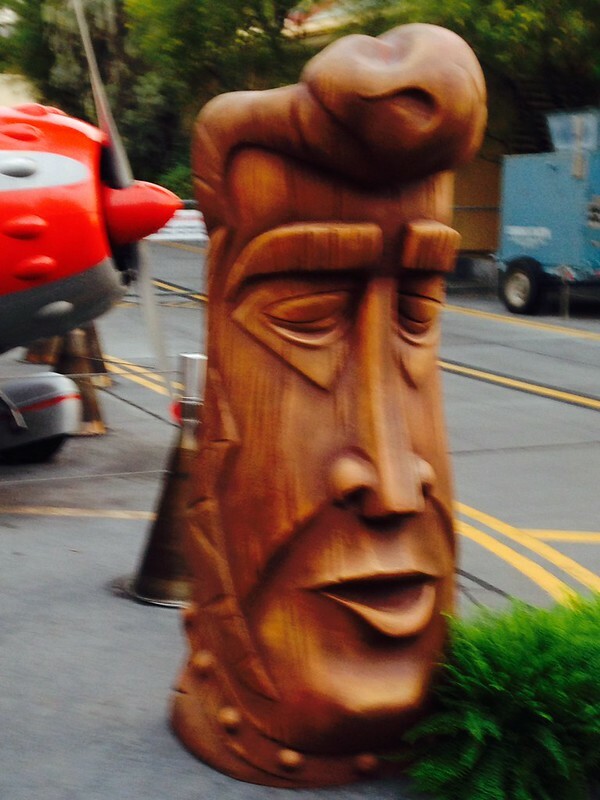 To be even more specific, the 10k race was actually inspired by the Stitch tiki I’d seen at the merchandise event for the 50th anniversary of the Enchanted Tiki Room. He was the mascot logo for our bibs, t-shirts and even our medals, which had a tapa print lanyard. 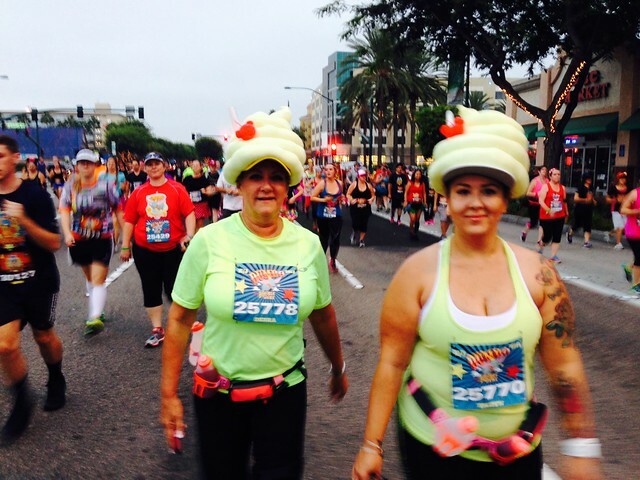 Part of the fun of these races is seeing the creative costumes people put together, like these ladies who donned Dole Whip hats. 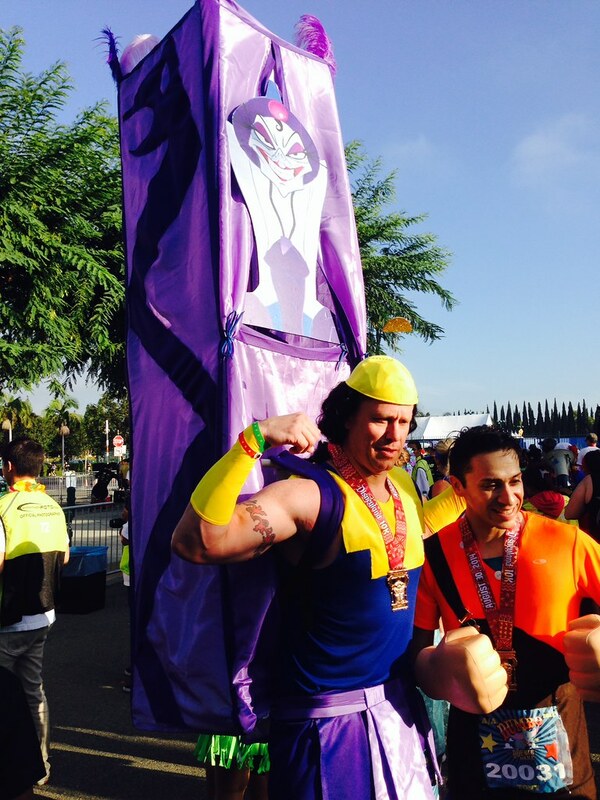 Most of the runners still wear something functional, but this guy really went out of the box with his Kronk (and Yzma) costume from “The Emperor’s New Groove.” I don’t know how he did the race in that! 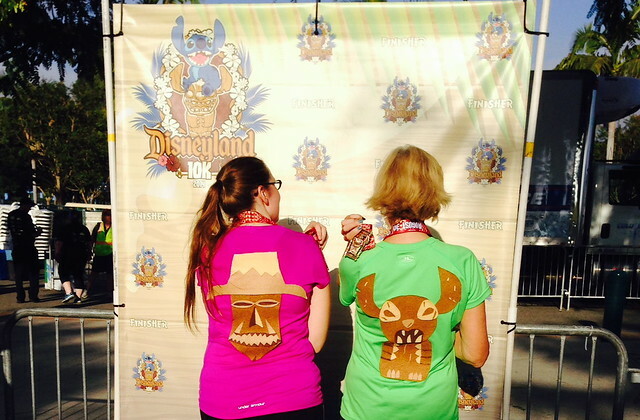 To get in the spirit, we decorated the backs of our shirts with tributes (made out of felt) to Pele from the Enchanted Tiki Room and tiki Stitch. 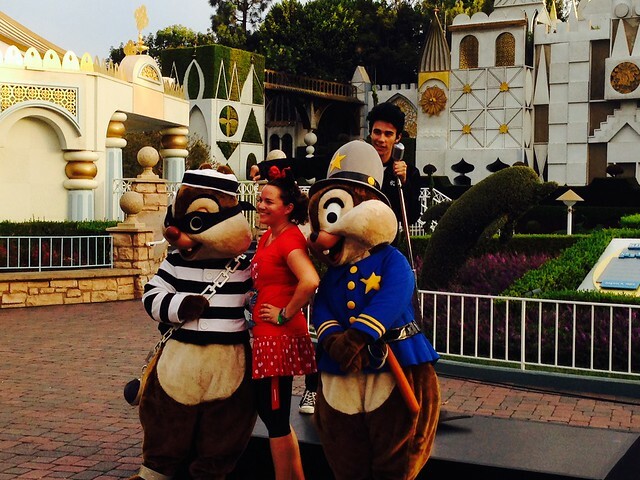 However they did have “Jailhouse Rock” Elvis paired with Chip and Dale as a police officer and a prisoner. 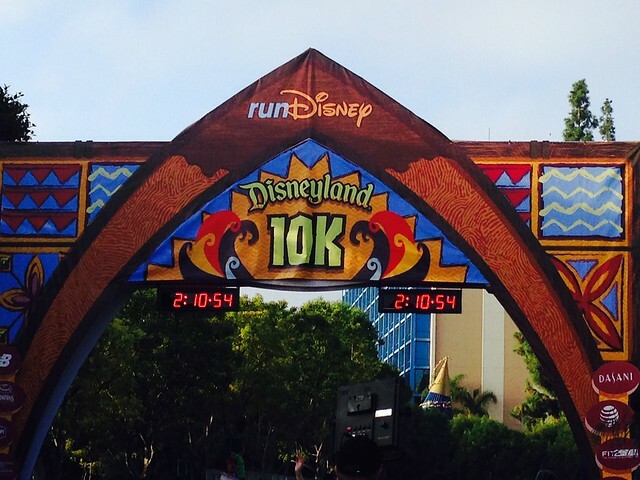 In the 10k race, each of the six mile markers had a different design, so that also helps with motivation to keep going. 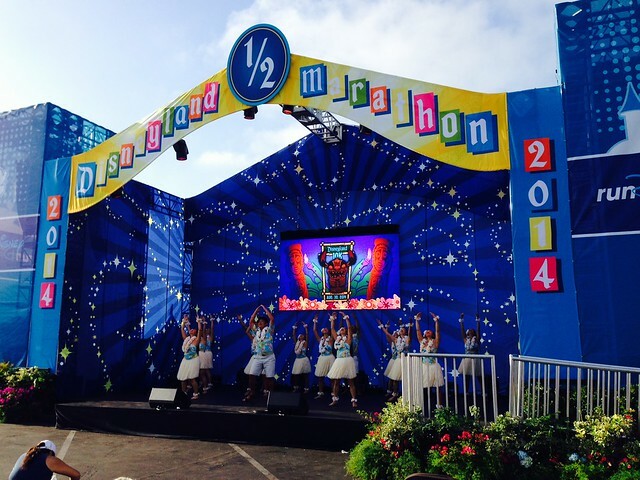 At the end of the race there was a group of hula dancers welcoming everyone back. 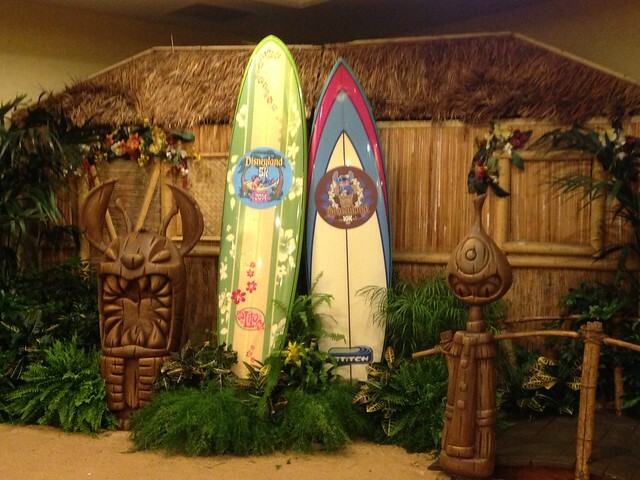 Up on the stage you can see another logo with the Stitch tiki and tikis from the Enchanted Tiki Room. 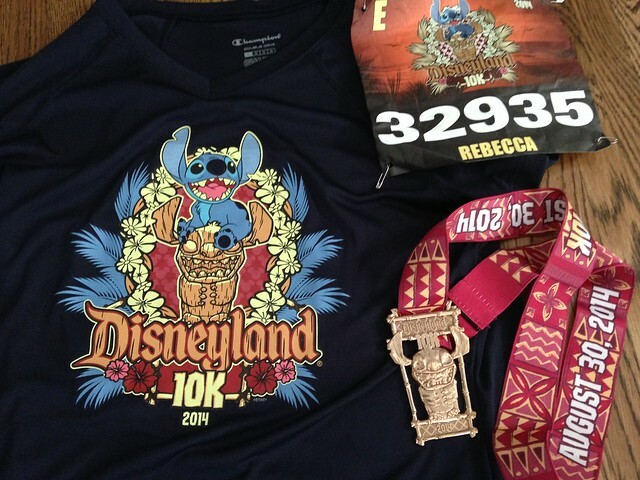 If anything were to get me to enjoy running I guess it would be Disney and tikis! 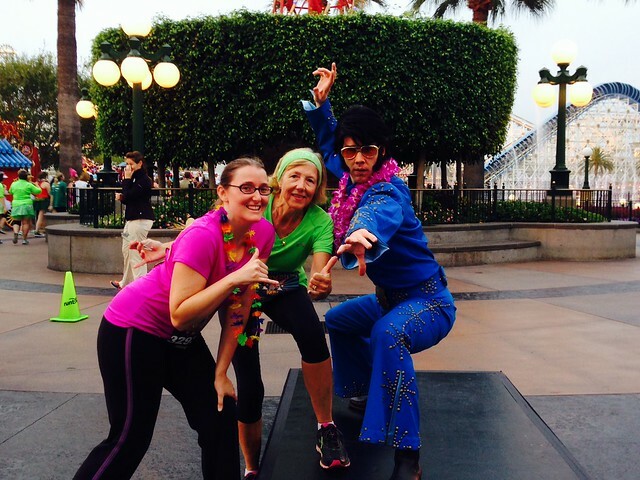 Only crazy people willing get up early in the morning to run. 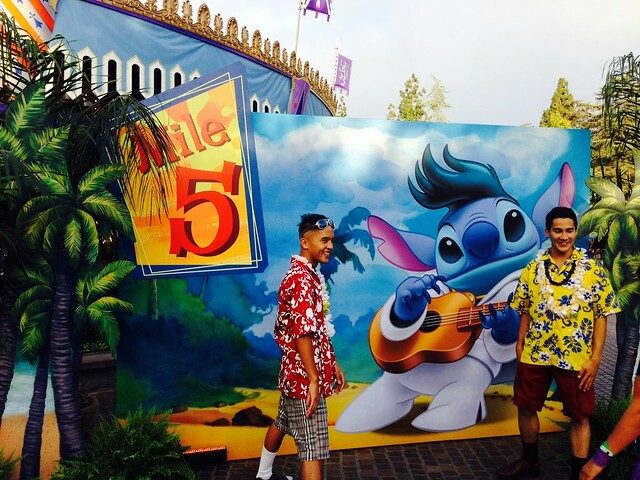 I love those felt tiki shirts! So craftiki!